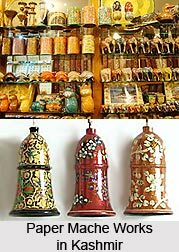 Art & Craft of Jammu Kashmir | JNR GLOBETROTTERS PVT. 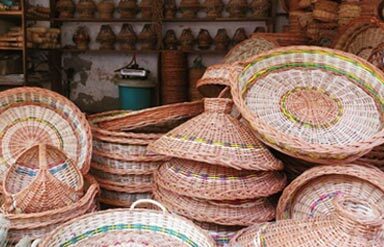 LTD.
Willow rushes that grow plentifully in marshes and lakes in Kashmir are used to make charmingly quaint objects, ranging from shopping baskets and lampshades to tables and chairs, all generally in expensive. 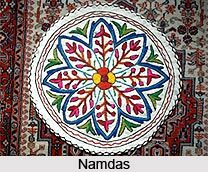 Kashmir is known throughout the world for its arts and crafts. 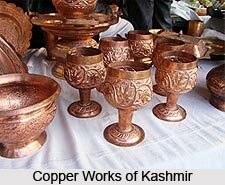 There has always been an increasing demand for the craftsmanship in Kashmir which finds fullest manifestation in silverware. 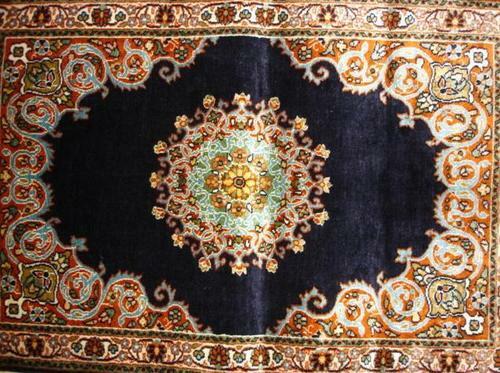 Far less expensive are these colorful floor coverings made from woolen and cotton fiber which has been manually pressed into shape. 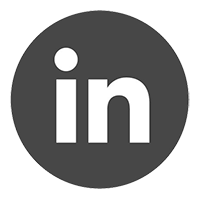 Prices vary with the percentage of wool- a Namda containing 80% wool being more expensive than one containing 20% wool. At first glance, all Papier Mache` objects look roughly the same, and the price differential seems almost unreasonable. 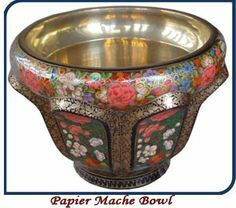 However, besides at least three different grades of Papier` Mache`, some is actually cardboard or wood! A pheran is a traditional garment worn in Kashmir. 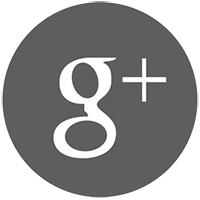 This loose coat is worn by people all over the cold state to ward off the frigid winds of the winter months. It also accommodates the ubiquitous “Kangri”, an earthen lamp carried close to the body for warmth. 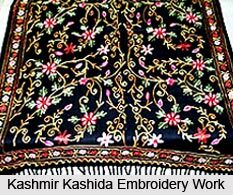 Kashmiri shawls are noted for the extreme fineness of the cream coloured goats wool known as Pashmina and for the intricate embroidery work. 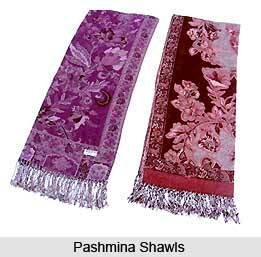 Pashmina is unmistakable for its softness. 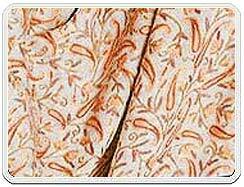 Kashmiri silk refers to the fine silk sourced from cocoons reared in Kashmir. 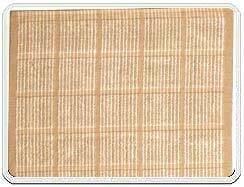 Nourished on fine mulberry leaves, the cocoons grown at the sericulture farms of Kashmir yield a fine quality of silk. Tweed is woven from pure wool. 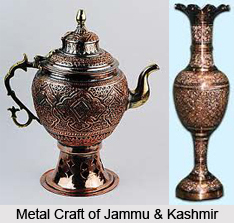 It is one of the most popular export items among the Kashmir art and craft items. The fine texture of the Kashmiri tweed makes it a must buy on your list when you tour Kashmir.